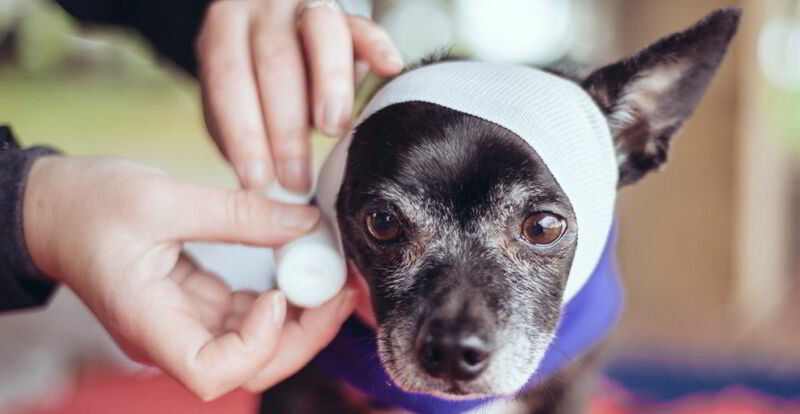 PET FIRST AID: A LITTLE MORE THAN YOU MIGHT THINK! Are you ready for a pet emergency? Do you have pet first aid training? Pet First Aid is defined as being the “first responder to attend to a pet emergency”. In Walks ‘N’ Wags Pet First Aid program, our goal is also to empower participants to help ease an animal’s suffering. Knowing pet first aid can also improve an animal’s chances of a successful recovery. When people think about pet first aid, the first thing that comes to mind might be bleeding wounds and CPR. It’s easy to think to oneself “I’m careful. That would never happen to my pet”. And of course when students leave our classes, we hope to only hear about their preventive successes. As owner of an Edmonton dog daycare, Shawna Magnan was horrified when a client’s dog’s tooth became caught on another dog’s collar. The tooth was stuck and in the struggle to separate the dogs, the tightened collar caused asphyxiation. Shawna knew exactly what to do and fortunately was able to save the dog’s life. *Note: collars are now removed from the dogs inside the daycare. Victoria Regan lives in BC’s Okanagan and works as a dog walker. Victoria was walking a client’s dog when it was bitten by a rattlesnake. Her quick thinking and training were able to assist this dog to a successful outcome. Brittany Brown of Calgary AB told us that her dog Cocoa choked on a piece of food and became unconscious. Fortunately Brittany was able to dislodge the item and assess Cocoa, who is now fine. Nothing makes us happier than when a new group of students leaves one of our classes. We know that more pets in our communities will be kept safe. When we receive notes, from students like Lori Campbell, of Victoria BC telling us “I would strongly recommend this class to anyone with pets not only for emergencies but preventative care as well” we know that we’ve met our goal. Remember, prevention is the best form of Pet First Aid. However, if you are faced with a pet emergency, it’s better to have some basic skills to improve your pet’s chance of a successful outcome. Take a Pet First Aid class either in person or via distance learning to prepare yourself. Your best friend is worth it.